I have been making these way too much lately. Seriously, at least once a week. My husband is tired of carrots and it’s SPRING so I’ve decided to post the recipe before I retire them for awhile! Spring in Michigan means that there will be a multitude of fresh organic vegetables at our fingertips soon. 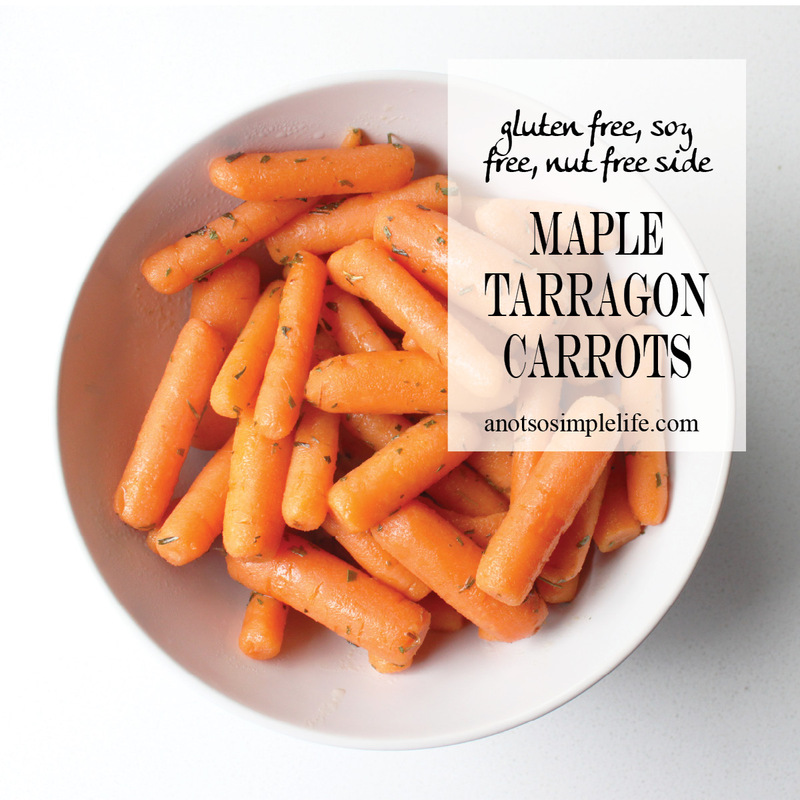 During the winter months, fresh organics can be harder to come by so these Maple Tarragon Carrots are great to make use of those organic bagged baby carrots that are always in stock at the grocery store. You’ll appreciate this recipe when you’re feeling like going on strike in the kitchen because it doesn’t dirty a ton of dishes, or when you’re sick trying to piece together a nutritious meal because there’s minimal effort (they are also gluten free, soy free, nut free, egg free and could be made with a dairy substitute) This works for a paleo diet if you allow butter (we use grass fed) and is refined sugar free (it’s sweetened with a teensie bit of maple syrup). These are ridiculously easy, and the best part, my family, including my two year old toddler LOVES them! Around the time he turned two I realized he stopped eating vitamin A rich foods like roasted butternut squash cubes and sweet potato cubes. He stopped eating normal steamed carrots at about 1 and had decided they were “icky” so the first few times I made these he wouldn’t try them. Then, one random night I made them with some steamed broccoli, when I was making my “I’m Getting Sick immune boosting meal plan“. My little man ate one, then grabbed another, then proceeded to eat the entire 1 lb bag…seriously. I told my husband to back off because the little guy obviously needed some vitamin A! (which we used to eat before we reintroduced butter to our diets). You'll need a saucepan with a steamer basket to make these. Fill the bottom of the saucepan with water. 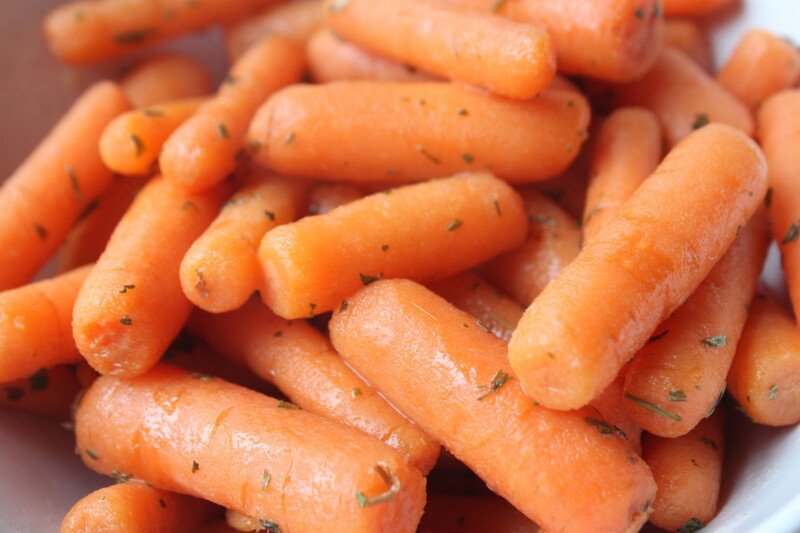 Dump the carrots into the steamer basket and top with a lid. 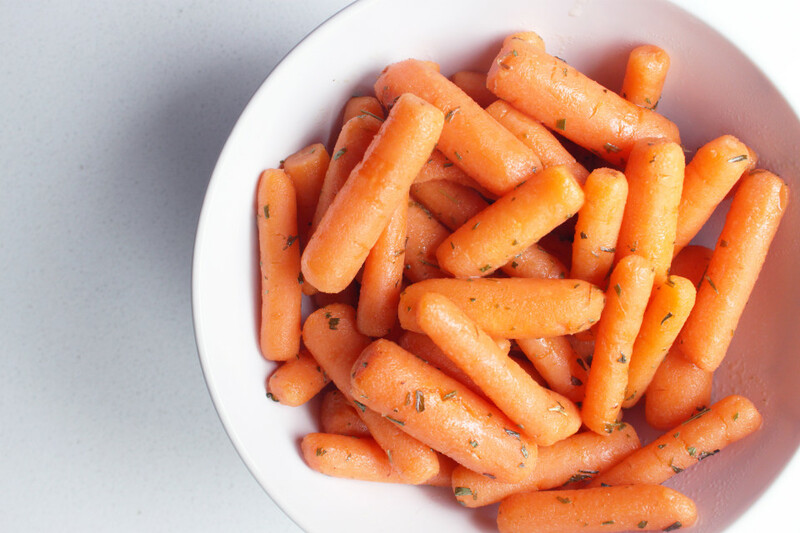 Cook over high heat for 15 to 20 minutes (depending on the thickness of your carrots, make sure you poke them with a fork to check them at 15). Once they're cooked. Take the steamer basket off of the saucepan (be sure to use an oven mitt because it will be hot). Dump the water and return to the stove. Add butter and maple syrup to the pan (the pan itself should be hot enough to melt the butter but if not you can turn the stove on to medium heat). 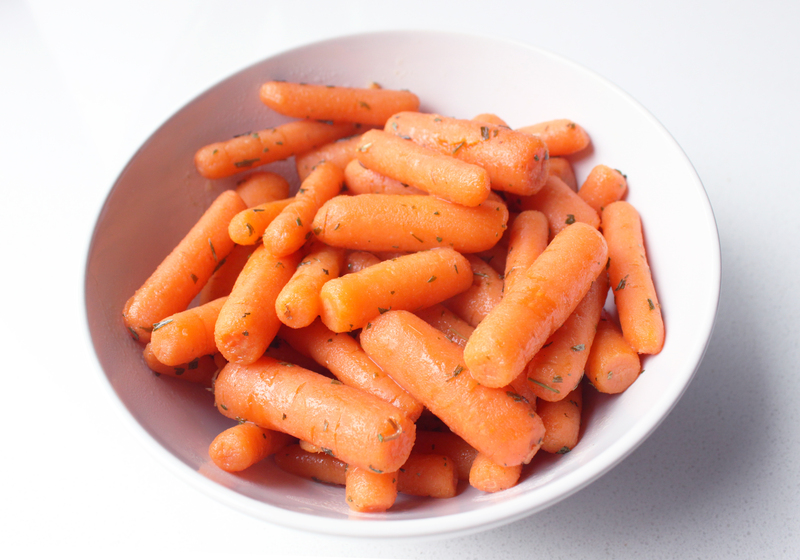 Dump the cooked carrots into the saucepan and stir to coat, Sprinkle with tarragon. Enjoy!